A recent report reveals that West Yorkshire has the highest number of dog theft incidents outside of London having risen by 19% since 2014. The most common breed to be targeted is the Staffordshire Bull Terrier, closely followed by Chihuahua, Jack Russell and French Bulldog. 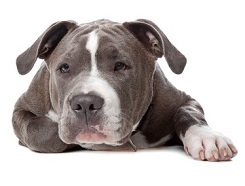 Criminals take dogs for a number of reasons including to sell on, to breed with or even for dog fighting. Therefore, pedigree dogs, young dogs, female dogs and potentially aggressive breeds are of particular interest. South Yorkshire Police also issued a warning recently after a spate of pet thefts in their area, including 13 pugs taken from one home. They also reported thefts of other pets including rabbits and even a tortoise. See the story here. It goes without saying that the theft of a pet is much worse than possessions so don’t take any chances. If you need any additional security advice then please call us on 0345 833 5543 or send us a message.